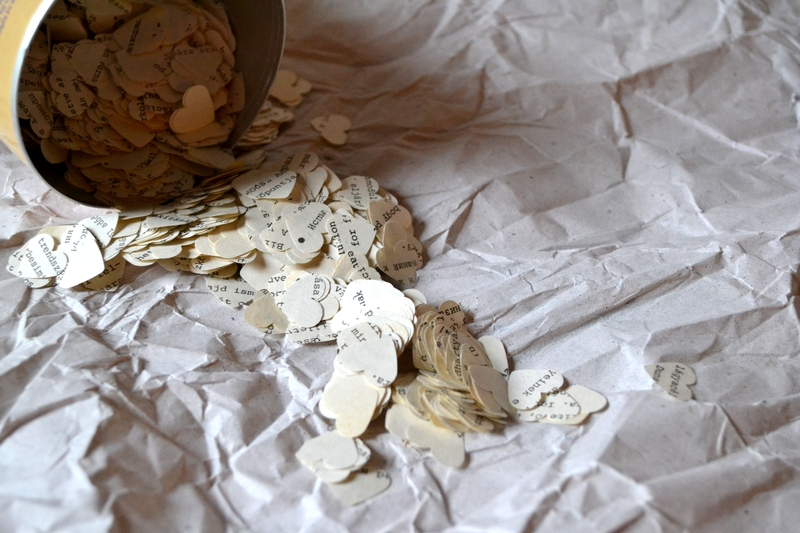 Wedding preparations again 🙂 Instead of rice (or, maybe, besides rice or rose petals), we opt for book confetti. It took me about “two movies” to cut the hearts with a craft puncher. It seems to be a decent amount, but after dividing it into smaller portions, we’ll decide if we need some more. 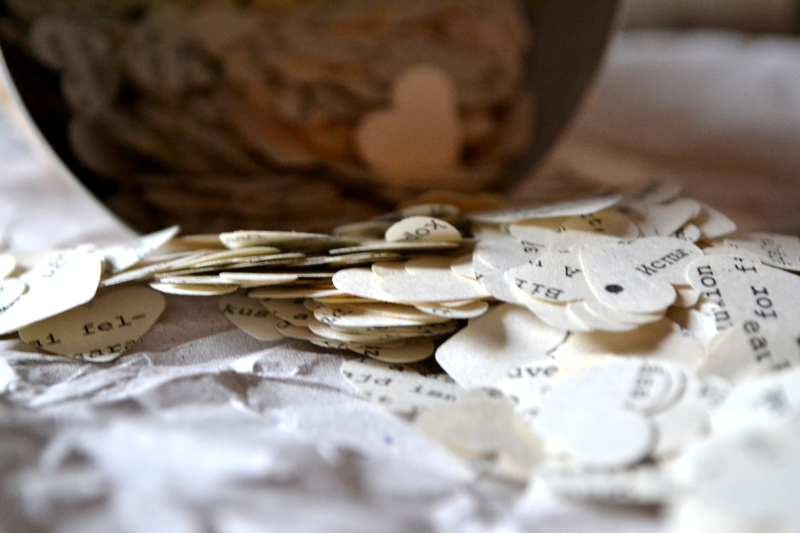 I especially liked when some hearts accidentally had meaningful (pieces of) words on them. 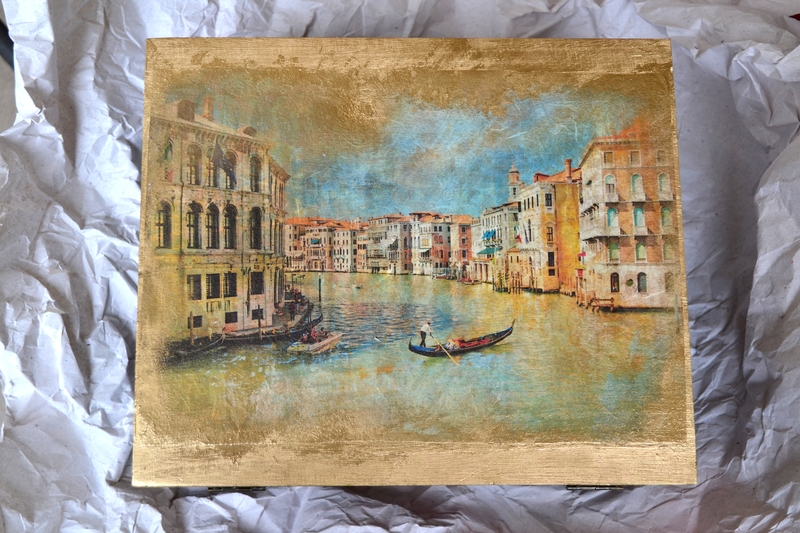 I adore boxes. 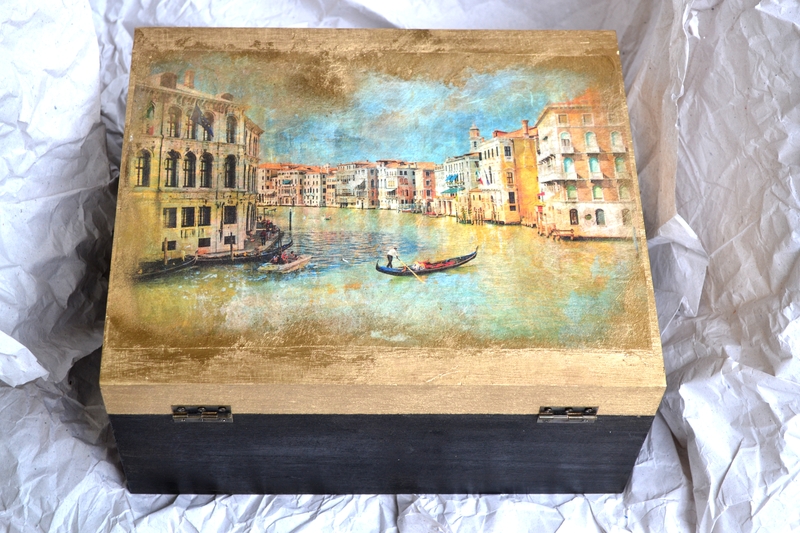 Today I made a black and gold box with a decoupaged venetian painting. 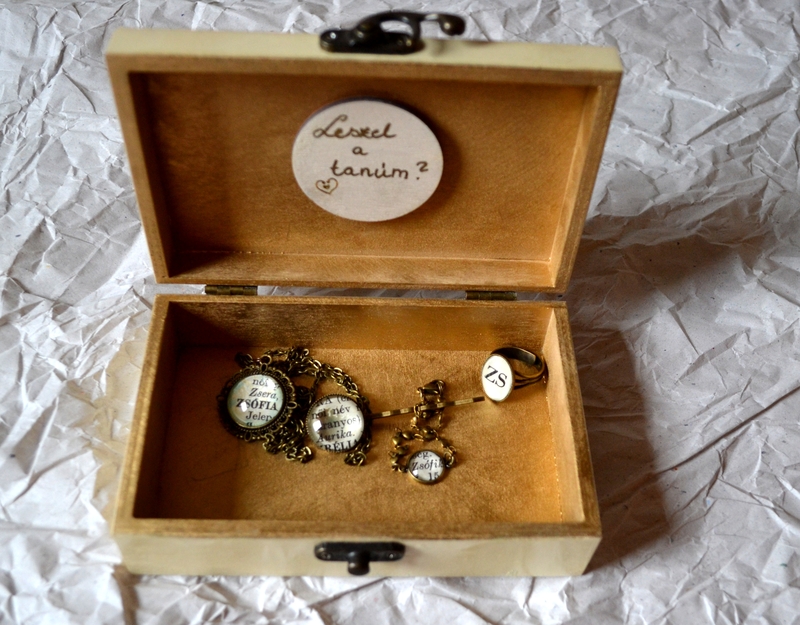 Will you be my… maid of honour? 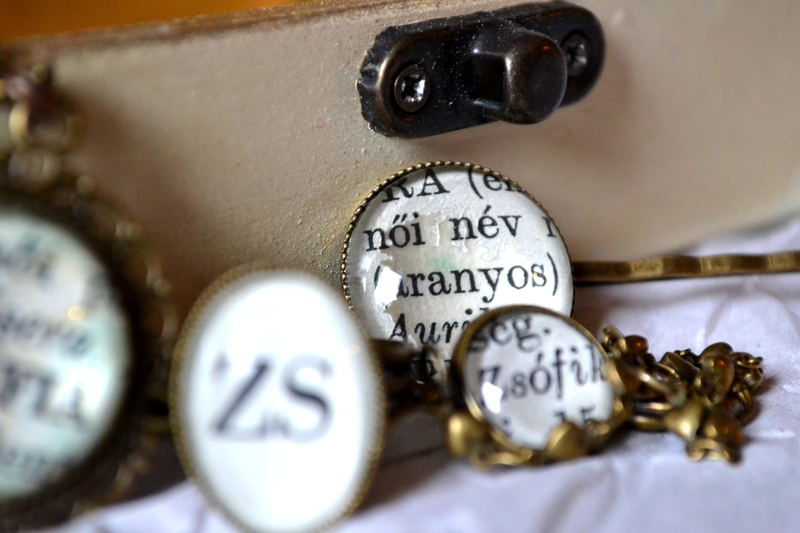 Bridesmaids and maid of honour gifts will also fit into our book themed wedding. 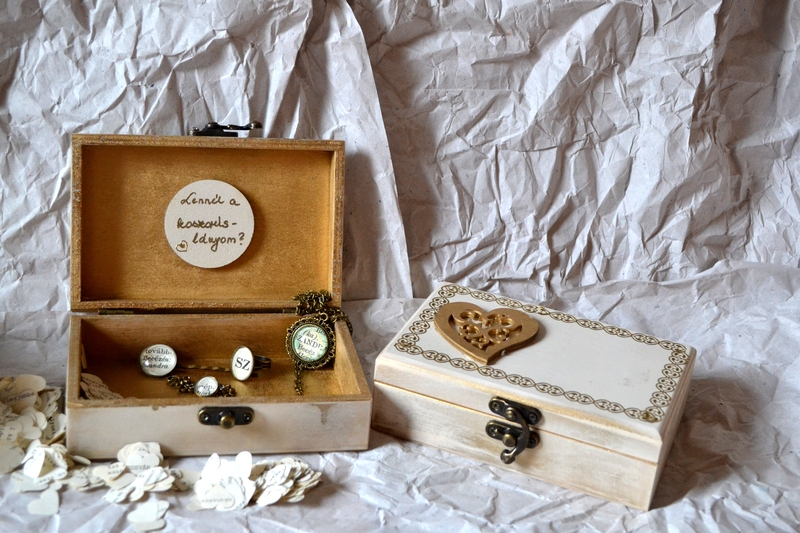 That’s why I wanted to make some cute jewellery for them. 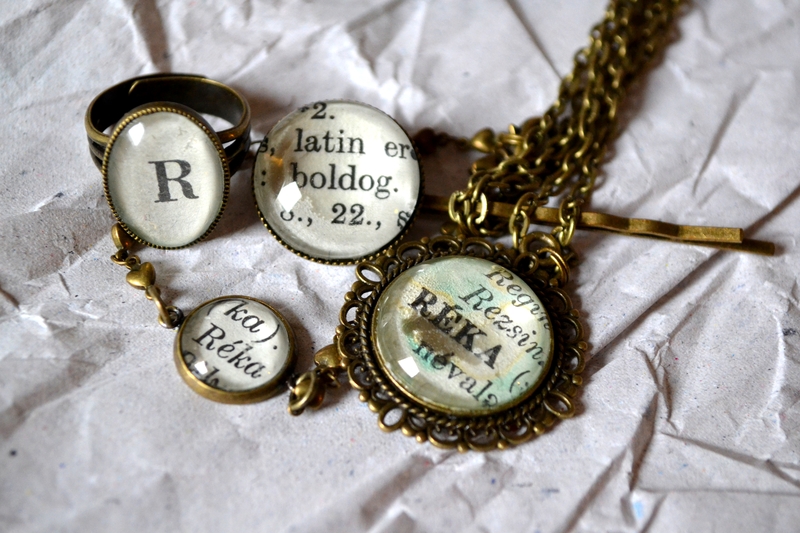 I chose a book that enlists all the names, cut out their names and initials and some lovely adjectives (happy, beatiful, cute) to embellish the accessories. 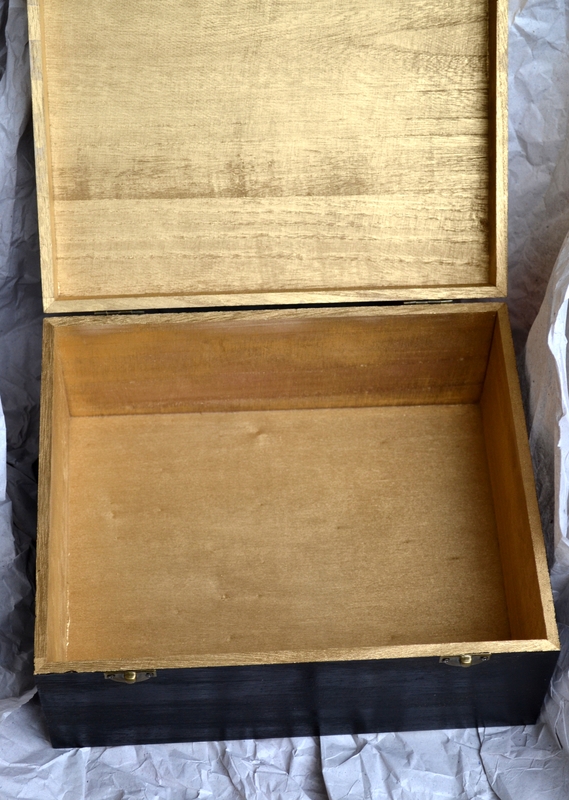 The boxes were made of plain wooden boxes that I took apart, spray painted white/cream and gold and reassembled. 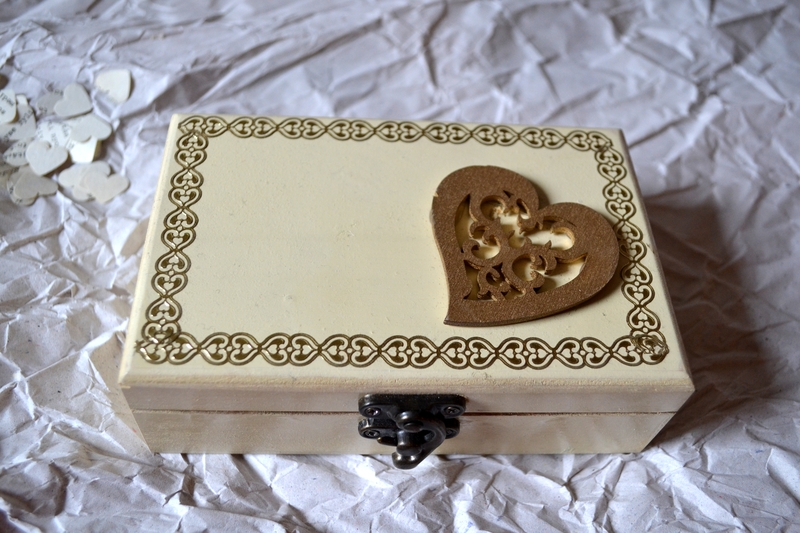 I used decorative tape for the golden details, a little laser cut wooden heart and a round wooden piece to “pop the question”: Will you be my bridesmaid? Will you be my maid of honour?